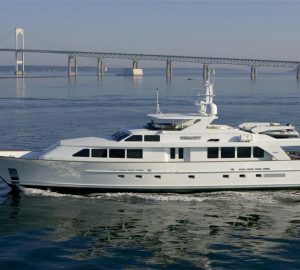 Luxury motor yacht CYNTHIA (ex Madsummer, Issana, Twizzle, Drizzle) is 182,1'' (or 55,5m) in length and was launched by the respected Feadship Shipyard in 2005 and received a multi-million dollar refit in 2018. Superyacht CYNTHIA is the creation of the yacht designers Redman Whitley Dixon and the interior decorators Todhunter Earle (original) while her 2018 refitted interior is the work of Claudette Bonville, incorporating unique flair with a clean modern subtleness, and of course, progressive functionality. Winner of the Boat International World Superyacht Award in the Custom Motor Yacht 51 metres to 65 metres category, CYNTHIA confirms her reputation as one of the industry’s most sensational yachts. She has a timeless, refined style in her traditional relaxed exterior lines and a functionality and grace in her contemporary yet natural interior. The yacht features a comprehensive gathering of electronics and entertainment inside and out. The spacious Owner suite is located in a prominent position forward on the main deck from where you can fully enjoy lovely panoramic views. The yacht’s two twins and two double guest staterooms are vast and individualized, located on her lower deck. Cruising comfort is ensured with modern design, size, and features such as zero speed stabilizers which can operate while the yacht is anchored. The fantastic open deck areas offer plenty of space for outdoor interaction, lounging and sunning, entertaining and dining, soaking in the Spa Pool or messing about on the water with the large collection of water toys. 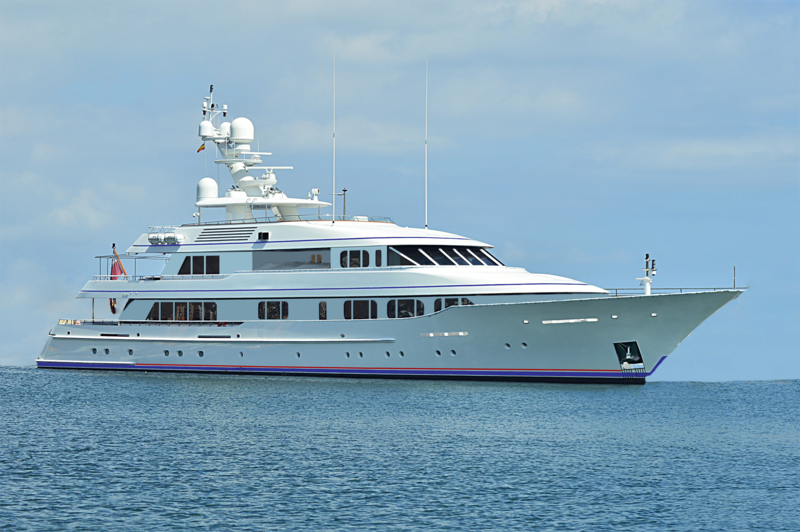 Luxury motor yacht CYNTHIA provides accommodation for 10 guests in a total of five cabins. The layout includes a superior owner’s master suite on the main deck and two twins and two double rooms. All cabins enjoy luxurious ensuite bathroom facilities and the crew accommodation is separate and distinct. We do have available further amenity, owner and price information for the 55,50m (182'1'') yacht CYNTHIA, so please enquire for more information.